The Norrøna Trollveggen Thermal Pro jacket is a high-performance insulating midlayer fleece, featuring the highest warmth-to-weight ratio in the Norrøna line for an exceptionally light but warm winter mountaineering, climbing, or ski jacket. The Thermal Pro® of the Norrøna Trollveggen Thermal Pro jacket has been designed by Polartec to deliver a synthetic fleece with better performance functionality and a higher efficiency than standard fleece fabrics. 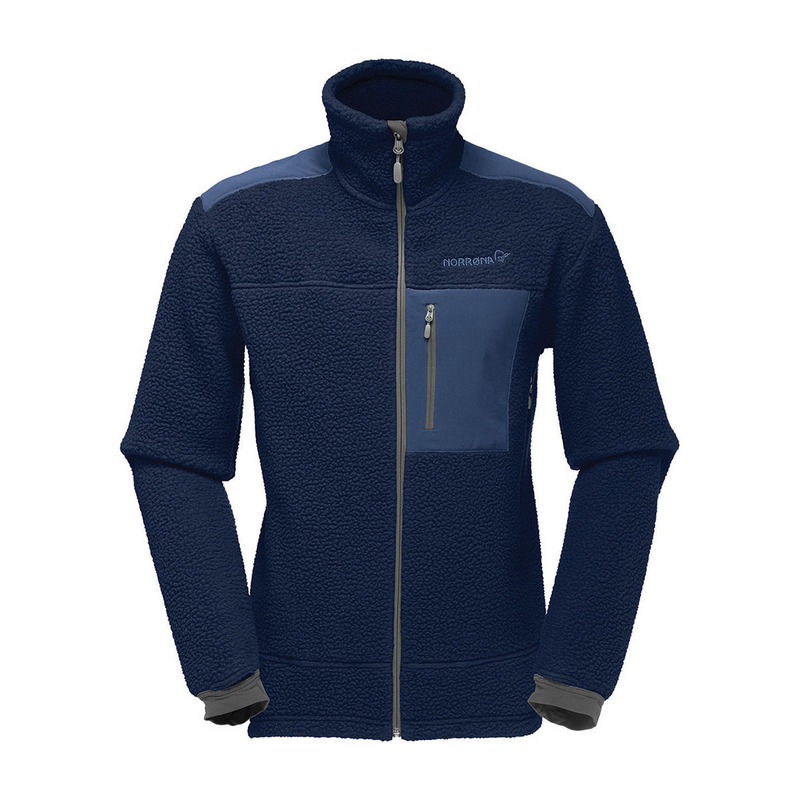 This results in a lighter but warmer, highly breathable, and durable material much better suited for rugged off-the-track environments where traditional fleeces are either too heavy or don't have the right level of weather-resistance for the job. Features two hand warming pockets, chest pocket, integrated hand gaiters and a warm, weather protective collar. Thermal Pro® is a high-performance synthetic fleece with superior qualities to those of traditional fleece materials. Able to create air pockets that trap air and retain body heat much more efficiently, Thermal Pro® provides more warmth at less weight, has greater breathability, will dry quicker, is very durable, and with a weather-resistance that makes it perfect for all harsher weather pursuits.